What Is the Georgia Bass Club Creel Census Report? I have always been fascinated with fishing records and statistics to the point of keeping a record of every bass I have caught since I was 12 years old. The Georgia Bass Chapter Federation Creel Census Report compiled by Dr. Carl Quertermus at the University of West Georgia provides me with a lot of great bass fishing information. Starting in 1978 Dr. Quertermus compiled records of club tournaments and now contracts with the Georgia Wildlife Resources Division on it. The Georgia Bass Chapter Federations require each of their clubs to send in a detailed report after each tournament. Each report includes number of fishermen, number of hours fished, lake, winning weight, total weight, total number of bass, big bass weight, number of limits, number of zeroes, number of spots, largemouth and other bass, and more. One of the most surprising facts to me is the amount of time it takes a typical club fisherman to land a keeper bass and the average size of that bass. It has been very consistent over the 30 years of this study that the catch rate is .20 to .25. That means it takes four to five hours on average for a club fisherman to land one keeper. And that keeper will average less than 1.5 pounds. The increasing population of spotted bass is well documented by this report. Lakes where spots are not native have seen huge increases in them. Jackson Lake had 99.52 percent largemouth reported in 1994. By 2007 that had changed to 52.4 percent. Russell had 96.66 percent largemouth in 1994 and 49.4 percent in 2007. For good or bad those changes were brought about by illegal stocking of spots by fishermen. Dr. Quertermus is a founder of the Carroll Bassmasters and, after some time not fishing with them, is back in the club. He enjoys catching bass as well as studying them. In the In Fisherman 2001 Bass Guide he wrote an article “Timing the Bass Bite” using his reports on over 8000 club tournaments. It confirmed some of the things most bass fishermen believe, but also showed some of those beliefs to be wrong. The best months for catching bass are April, March and May followed by October and November. No surprise there. But it was a surprise when he looked at night tournaments and found it really does not make any difference if you fish during the day or night even during the hottest months as far as catch rates go. It may be a lot more comfortable fishing at night but the bass don’t seem to care. There was a difference in spots and largemouth at night. In looking at 677 day tournaments and 758 night tournaments on lakes with both spots and largemouth, there were more largemouth caught in day tournaments and more spots caught in night tournaments. It is a good idea to plan your night trips to lakes with good populations of spots. When can you catch your biggest bass? Dr. Quertermus found the winning stringer weight for bass was higher in January, February, March and December. Also, the average biggest bass caught in tournaments was higher in March and February. So go fishing right now for bigger bass. One of the biggest surprises is the fact Allatoona is NOT the Dead Sea. In 2007 it had the fourth highest catch rate per hour, following Clark’s Hill, Hartwell and Russell. In 2005 and 2006 it had the highest catch rate of any Georgia lake. It is hard to believe you can catch more bass at Allatoona than Sinclair but club reports show you can. Looking at numbers is fun and they can help you decide which lake and time is your best bet, but doing your own research is much more fun! This entry was posted in Bass Fishing, Conservation, Tournament Fishing on July 30, 2015 by ronniegarrison. How Do You Get A Sea Turtle Out of a Moat? Saving an endangered species takes a bit of creativity—and muscle! Sea turtle work is more than cruising the beach and counting nests. There are bleary-eyed days that begin before dawn, sweaty work, swarms of insects, reams of data, crises so common they’re expected. And there is the occasional first – like rescuing a loggerhead in a moat. DNR Sea Turtle Program Coordinator Mark Dodd admits he didn’t want to get in the moat at Fort Pulaski. Fed by canal in a dike system reaching to the Savannah River, the nearly 200-year-old waterway is wide, up to 8 feet deep and “full of things” – pipework, rubble and, well, “you don’t know what’s in there,” Dodd said. But the young loggerhead that fit through a pipe in the canal liked what was in there: lots of crabs. 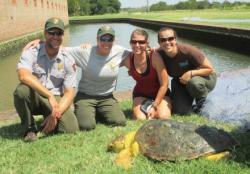 Staff at Fort Pulaski National Monument, on Cockspur Island near Savannah, spotted the federally listed marine turtle and phoned Dodd. The loggerhead could likely survive until temperatures cooled in the fall. But, concerned that water quality might worsen, Dodd determined it was best to get it out now. That’s when the how-to plans began to crumble. Draining the moat (something the National Park Service does occasionally) went too slowly and would have still left large pools. Plan B, using a canoe to drive the turtle toward a trammel fish net, also failed. The loggerhead saw the mesh and ducked away. As a last resort, Dodd and former Georgia Sea Turtle Cooperative members Jen Kraus and Jessica Thompson, jumped in, stretched a seine net between them and slowly swam the turtle toward the trammel net, with help from the Park Service’s Candice Wyatt and Matt Hall. That worked, although lifting the crab-fattened, 80-pound reptile into the canoe and out of the moat was a challenge, what with the tangled net, squirming turtle and people falling out of the canoe. 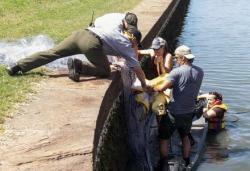 The extra muscle from the Park Service crew proved critical in getting the loggerhead over the moat wall. 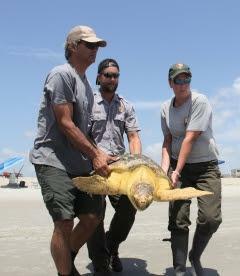 Tagging and releasing the sea turtle off Tybee Island beach went smoother. Thankfully. “Things happen and plans fall apart, and you just do what you gotta do,” Dodd said. Even if it means getting in the moat. Built from 1829-1847 to protect Savannah from naval attack, Fort Pulaski was captured in fewer than 36 hours during a Union siege in April 1862. New rifled cannons fired from Tybee Island opened holes in the 7.5-foot-thick walls – two of the holes measured 30 feet wide – leading to the surrender. Loggerhead sea turtles are on the brink of a nesting record in Georgia. Stay up-to-date on the counts. The number to beat: 2,289 nests documented in 2013. This entry was posted in Conservation on July 29, 2015 by ronniegarrison. Are US Politicians from Another Universe, or Another Reality? I have loved reading science fiction since I was about eight years old. There are more than 550 paperback science fiction books in my library that I bought mostly when in high school. I still enjoy reading those kinds of stories and books. One of my favorite kinds of story was about exploring worlds in our solar system or in others. I especially liked it when intelligence life was found and the explorers had to try to understand them. Not only was communication almost impossible at times, but just understanding how they though posed a very difficult task. Some aliens had such different though processes and logic that it was very hard to make sense since humans usually have at least the same basic for our logic. We communicate through sound or sight, and sometimes touch. But how about an alien race that communicated through color, or telepathy, sending thoughts to each other. Even more hard to understand were the stories about exploring other realities. In them the inhabitants were so different from us that absolutely nothing made sense. Their logic, if they had it, was not ours, not even of our universe. When I look at our politicians I think some of them must be an alien race, and a few from a different reality totally. When it comes to guns, I have a hard time understanding most of their thought processes and some are simply so foreign to me it is impossible to understand. For example, when a reporter questioned the mother of the murderer that killed five of our armed services members in Tennessee recently, the reporter kept asking if he liked guns, if he hunted or liked to shoot. I could understand a little of her thought process. She is so sure guns are evil and cause people to do bad things she focused on it, rather than the obvious cause. When an insane fool killed five people in a Charleston church, President Obama immediately called for more gun control. That fit his agenda and nothing else really mattered except pushing it. Guns are bad so something must be done about them. It didn’t matter to the president or his thought process that this murderer was not allowed to have a gun under current laws. And all gun owners are bad so they must be controlled. Although there are millions of gun owners like me who have had and shot guns all their lives, and have never hurt anybody with a gun, President Obama condemned all of us based on the action of one idiot. But at the same time, to fit his agenda, he says we can’t condemn all Muslims for the actions of a radical few. One case pushed the line to, or past, the line between our reality and that of the being that was questioned. This being, I can’t call her a woman, is on the San Francisco Board of Supervisors. It is one of the beings that voted to make the city a sanctuary city, meaning criminal aliens from other countries, not other universes, could stay there with no threat of being arrested. After one of those criminal aliens who was a wanted felon and had already been deported five times found or stole a federal agent’s gun and killed an innocent woman on the board walk, he admitted he was in San Francisco because he knew he would not be held accountable for his crimes. At first I tried to understand this though process. Did it mean the federal agent should not have had a gun that could be lost or stolen? But this being has armed guards, to that didn’t make sense in any reality I could understand. Maybe this being was like the old Chatty Cathy doll that had set responses when you pulled its string, or the old Magic Eight Ball that answered your questions with a limited number of set answers. As far as I can understand, there was no more though behind responses from those toys than the one given about guns. And California Senator Diane Feinstein is quoted as saying that bad guys with guns would lay them down and do no harm if no good guys did not have guns. Again, that is from a reality I will never understand. This entry was posted in Guns and Gun Control on July 28, 2015 by ronniegarrison. 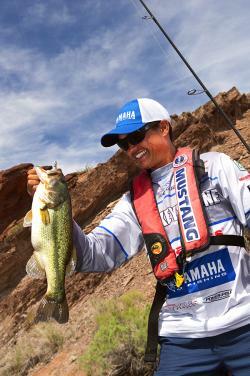 Can Finesse Swim Baits Catch More Summer Bass? This entry was posted in Bass Fishing, How To Fish on July 26, 2015 by ronniegarrison. What Are the Best Lures for Fooling Fall Bass? Die hard bass fishermen love the fall. We would much rather be on the water trying to fool a bass than perched in a tree waiting on something with horns to wander by or sitting in front of the TV watching guys play with a ball. Fortunately, many of our less fanatical bass fishing brethren like those other sports so we don’t have to share the honey holes with as many other fishermen. Add in the lack of pleasure boats, jet skis and skiers and fall fishing is almost heaven. Bass activity also makes fall a fantastic time to fish for them. The cooling waters spur a feeding spree as the bass fatten up for the coming months. They like a high protein diet so shad and crayfish are their favorite prey this time of year. Several other factors make this a good time of year to chase bass. The water is settled and clearer than during much of the year so you don’t have to worry as much about changing conditions. Lake levels are generally dropping so you can easily spot cover and structure on the exposed shoreline that shows you were to fish. The weather is not miserably hot or cold above the water, so you can fish in comfort. And you can simplify your tackle and areas of the lake you cover. Starting in October but at its peak in November three baits really shine for bass fishing. You can have a crankbait, spinnerbait and jig and pig tied on and leave all the other rods and lures in the rod locker. These three baits will allow you to cover the water the fish are in and catch them now. A crankbait is a good choice to fish fast and look for feeding bass. Choose a one-quarter to three-eights ounce bait in browns to match crayfish in clear water. If the water is a little stained pick the same size baits but some chartreuse helps. An orange belly is best for either one. 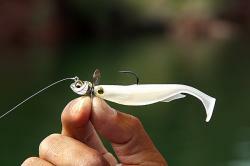 A white spinnerbait with two silver willowleaf blades works well in the fall. One quarter to half ounce baits with matching size blades look like shad and can be fished from top to bottom. Add a split tail white trailer for bulk and a little more action and bass will eat it. Change to a gold willowleaf and silver Colorado blades and use a skirt with some chartreuse as well as white if you find any stained water. In clear water a brown jig and pig is an excellent choice. One with a brown skirt with a few strands of orange imitates a crayfish. A one eight ounce bait is good when working heavy cover like rocks and brush since it won’t get hung as badly. Don’t downsize the skirt and trailer size, just use a lighter head. Got to a three eights ounce jig for more open cover where you are less likely to get hung. Try a blue and black combination jig and pig for water with some stain in it. With either bait, use a straight tail chunk type pig when you want a faster moving bait but hook on a twin curly tail grub to slow the fall and for more action in the bait when hopping it off the bottom. Bass tend to move into creeks looking for food as the water cools. Shad will migrate into creeks and bass follow them. Pick a few smaller creeks on your favorite lake, start working at the first main lake point and work back into the creek until you find the fish. Until you locate them work all the cover and structure as you come to it. Once you locate the area the fish are in you can go to other creeks and start fishing the same area and cover in them. If you find fish on secondary points half way back into one creek you are likely to find them in the same places in other creeks. Try to pattern the fish and you can then fish many areas without spending time in unproductive water. Crayfish like rocks and hard mud bottoms so look for places that have them. Riprap and natural rock banks hold crayfish. They like to hide in the rocks and bass will be looking for them. Crayfish dig tunnels in hard mud bottoms and hibernate there so work any such places you can find; the crayfish are likely to be concentrated on them right now. As shad move into the creeks they cross points and creek channel drops and bass will wait to ambush them there. A point or bar running out across deeper water is a good place to find them as is a creek swing where the lip runs across the creek. Always be watching for ambush points, a place where the bottom rises up from deeper water where bass can wait on the shad. A crankbait is a good choice to start with since you can cover a lot of water quickly. Fish it on ten pound monofilament line and use a rod with some give to it. The mono and somewhat limber rod will help you hook the bass without pulling the lure away from them or tearing it out of their mouth. Check to make sure the hooks are sharp on the crankbait before your first cast, even on brand new baits. Choose a crankbait that runs six to ten feet deep and make long casts and bump the cover. To keep it in the strike zone keep your boat in close to the bank and make parallel casts, angling the cast slightly to cover the water six to ten feet deep where the bait works best. For a crankbait to be most effective it needs to be bumping the cover. Crank it down on a hard mud point and make it bounce along, kicking up puffs of mud like a moving crayfish. Pause every few feet then twitch your rod tip, making it dart forward like a startled mudbug. That will often trigger a reaction strike from a reluctant bass. Fish it the same way on rocks. When fishing blowdowns, brush or stumps make your bait bump into it then pause so it floats up a little, then reel again. A crankbait with a large bill on its nose will bounce off wood cover and not get hung as much as one with a down facing bill further back on the body of the bait. If you see baitfish dimpling the water pick up your spinnerbait and make a long cast. Reel it back fast so it “wakes” the surface like a fleeing baitfish. You need a well tuned balanced bait that will not roll at high speeds for this to be effective. You can use 12 to 14 pound monofilament line and a stiffer rod since the single hook on a spinnerbait will not tear out as easily. If the bass don’t slam the fast moving bait, slow it down in steps. Try a retrieve that brings the bait back a few inches under the surface. Keep slowing it down until you are slow-rolling it, moving it with the blades turning but bumping the bottom. On all the retrieves stop the bait every few feet to make the skirt flare and draw a reaction strike. Fish the spinnerbait over and across all drops where bass might ambush shad. You can also work it through blowdowns and over brushpiles where bass might be holding. In brush and blowdowns let it bump the limb then fall a few inches as it clears the limb. This falling action will draw strikes. A jig and pig is one of the most versatile baits this time of year. Once you find the areas the bass are holding and the type cover they like, work a jig and pig for some of the bigger bass. Although any size bass will eat a jig and pig they are known for catching quality fish. Match line size to the cover and size of the jig you are fishing and use a rod with some backbone. A light jig and pig is good worked slowly on rocks and through wood cover, imitating a feeding crayfish. Crawl it along slowly on the bottom, pausing every few inches like a feeding crayfish. When you bump a rock or limb stop it and jiggle it, then move it over the cover, letting it fall as it comes past it. Hopping a jig and pig is very effective. Work the bait along the bottom but every few inches jump it six to 12 inches off the bottom like a startled crayfish. Let it fall back and sit still a few seconds, then move it forward again to the next hop. The only thing you can do wrong this time of year is sitting at home. The weather and fish are cooperative; all it takes is you getting on the water to catch them. This entry was posted in Bass Fishing, How To Fish on July 25, 2015 by ronniegarrison. 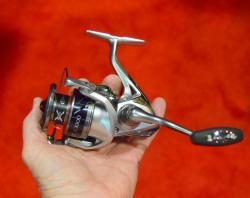 What Fishing Products Were In the ICast New Products Showcase? The ICAST New Product Showcase, as usual, rolled out a treasure trove of interesting new fishing gear, but as this is written the votes have not been counted or the winners of this year’s “Best of Show” in the many categories released. The Zebco 888 looks like the classic Zebco on steroids–it’s a big, heavy, strong fishing machine, with all metal gears in 2.6:1 retrieve, and it comes loaded with 25-pound test mono. There are not many close-faced reels that you could take on snook and redfish with, but this one qualifies, and it should also do a good job on big bass in heavy hydrilla–for young anglers who are having trouble mastering the revolving spool as well as for more experienced anglers who are just plain tired of backlashes, this may be an interesting and economical option–it’s just $29.99; www.zebco.com. Abu Garcia’s Revo series of baitcasters has really carved out a place for itself in the revolving spool market, but the company’s spinning reels have been less impressive–until now. The new Revo series spinning reels boast many of the top-end features of the Revo baitcasters according to Hunter Cole, chief the marketing for Berkley, who reports that the reels have been four years in design and testing. The gears are machined from solid aluminum stock, making them strong, light and very smooth in operation, and the carbon matrix drag system is light weight and very easy to put into motion, a big plus especially when fishing lighter lines for heavy fish. The composite parts are carbon infused, making them strong but light, and the gear box is aluminum, assuring long-term perfect alignment. The reels are available in a wide variety of sizes from UL up to medium heavy saltwater. 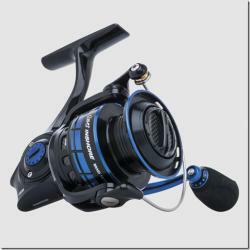 The top of the line Revo MGX is an 11 bearing reel that lists for $299.95, while value-priced models go for as low as $129.95; www.abugarcia.com. Berkley has come out with a series of hard baits that pro angler and company advisor David Fritts–one of the few guys to with both the Forrest Wood Cup and the Bassmaster Classic–says have been several years in development. “Designing a plastic lure that works like a wood lure is a real challenge, but I think we’ve done it with this series,” says Fritts. The company makes use of test tanks with flowing water and slo-mo photography as well as clay prototyping to get just the right shape and action on the lures. The paint jobs are particularly impressive, with the same shine and detail as that seen in Japanese lures that cost $20, but the new line goes for $6.95 to $7.95. They get points for the names, too, which include the Warpig, the Bad Shad and the Wild Thang, among others; www.berkley-fishing.com. The Shimano Stradic has been a favorite reel for expert level anglers for many years, particularly for flats fishing, and the completely redesigned Stradic the company revealed at the show should make fans very happy. The new model has cold-forged aluminum gears and machined aluminum frame, along with the company’s well-known X-SHIP construction which makes a very stiff but light unit that keeps things in perfect alignment for years of hard use. 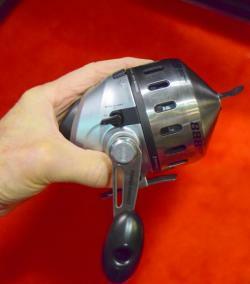 The reel is also rebalanced to feel lighter on the rod, and includes improved waterproofing to keep out saltwater. Prices range from $199.99 to $129.99; www.fish-shimano.com. There’s tons more to talk about, and we will in the near future, but this should be enough to whet your appetite for a trip to the local tackle shop–most of the products that appear at the show start shipping no later than early September, and some are available already from online suppliers. This entry was posted in Fishing Tackle on July 23, 2015 by ronniegarrison. Why Is the National Park Service Banning Fishing? Editor’s Note: The National Park Service has been increasingly aggressive nationwide at shutting anglers out of traditional fishing areas in the name of conservation, with Biscayne N.P. one of the most recent targets. Here’s a well-worded response, from Mike Leonard, Ocean Resource Policy Director of the American Sportfishing Association. A recent press release from Biscayne National Park that ran in the Friday, July 10 edition of the Fishing Wire highlights the creative spin that the National Park Service is using to support its railroading of the recreational fishing community in implementing a 10,000 acre no-fishing zone in the park. The National Park Service claims that its final General Management Plan was, “crafted with extensive involvement from the public and local, state, and federal agencies.” In reality, the marine reserve concept was initiated by the previous park superintendent and forced through the plan development process by Park Service staff despite consistent objections from the Park’s own fisheries working group, the Florida Fish and Wildlife Conservation Commission (FWC) and the recreational fishing and boating community. Backing the Park Service throughout this process has been the National Parks Conservation Association (NPCA), an environmental organization whose seemingly sole purpose is to defend the National Park Service. The Park Service is citing the majority of the 43,000 public comments it received in support of the marine reserve as justification for its decision. Most of these comments were provided by form letters initiated by NPCA and its national database. The Park Service seems to be giving greater weight to these form letters than input from local users of the resource and from the state fisheries agency that shares management responsibility with the Park Service. Florida has one of the nation’s premier fisheries management agencies in the FWC, as evidenced by the tremendous fishing opportunities it helps to provide throughout the state. The FWC knows how to balance public access with resource sustainability. Overfishing simply doesn’t occur in fisheries managed by the state. Nevertheless, the Park Service believes it knows best and completely disregarded the objections to the marine reserve by the state. The FWC’s position is that the marine reserve is excessively restrictive, and that other, less restrictive management options could achieve resource management goals while allowing for continued public access. Ultimately, this closure drives home the point that recreational fishing is under attack from organizations and agencies that don’t understand or appreciate the economic, social and conservation benefits that recreational fishing provides to the nation. There were many individuals and organizations who stepped up in a big way to fight back against the Biscayne marine reserve, but clearly it wasn’t enough to overcome the Park Service’s predestined decision. Hopefully Florida’s Congressional delegation will take action to stop this and similar unwarranted closures from being implemented without state approval. But nevertheless, the recreational fishing community needs to be better positioned to engage in these issues going forward. Through our new Keep Florida Fishing initiative, the American Sportfishing Association is working to unite Florida’s recreational fishing community to ensure that these types of unwarranted closures don’t happen again in the state. There are 5 million saltwater anglers in Florida, and thousands of recreational fishing-dependent businesses. If we can come together and speak loudly with one voice, even the Park Service can’t ignore us. This entry was posted in Conservation, Saltwater Fishing on July 21, 2015 by ronniegarrison. What Is Fall Bass Fishing With A Jig and Pig? I love that morning in September when I walk out the door and feel the first hint of fall in the air. There is not much change, but for the first time in months the air has a quality that makes me feel good. There is just a little change from hot, humid, muggy air to a little cool crispness. And that means great fall fishing is not far off. That little change is a sign to me that jig and pig fishing is about to take off. Although I keep a jig and pig rigged year round on one of my rods and throw it some, especially at night, I rely on them starting in the fall. I often have three rigged and ready for club tournaments and throw them more than any other bait. I always keep a 3/8ths ounce jig on a heavy action rod and 20 pound test fluorocarbon line on the reel. It will have a big chunk or twin curly tail trailer on it for more bulk. I throw it around docks, brush and blowdowns, anywhere I need heavy line to pull the fish out. 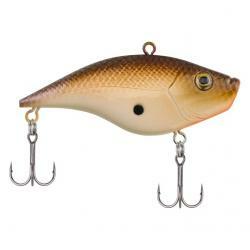 This is my go-to bait when I need a kicker bass in a tournament since a jig and pig tends to produce bigger fish. Big largemouths seem to love the big bait and will hit it readily all year long. From Thurmond on the east side to West Point on the west, I will fish this bait on every lake I visit. Starting in late September I also keep a 1/16 ounce jig on a spinning rod and reel spooled with eight pound fluorocarbon line. It is teamed with a Zoom Tiny Chunk and this small bait is fished around rock and clay banks. It is especially good for spotted bass in middle Georgia lakes that have become infested with them like Jackson, West Point, Harding and Russell. By mid October I usually have a one/quarter ounce jig rigged on a medium action bait casting rod and reel spooled with 12 pound fluorocarbon line. This lighter jig is teamed with a mid size chunk or curly tail and I fish it everywhere, from open clay banks to docks. It will catch more bass than the bigger jig but bigger bass than the little one. It is a good all-around size to throw on all kinds of cover and structure. In clear water I like a brown jig with a few strands of orange in the skirt. I hook on a brown trailer and usually dip the very tips of the tails in chartreuse JJ’s Magic. The chartreuse tails seem especially attractive to spotted bass and all bass seem to like the garlic scent. The fluorocarbon line is especially important in very clear water you often find in our lakes in the early fall. It helps to make long casts to stay way back from the fish in clear water, too. In stained water a black and blue jig with both colors in the skirt teamed with a blue twin curly tail trailer is my favorite. The twin curly tails create more action in the water that the bass can feel. The more stained the water the bigger bait and more action you need. Even in stained water I like the fluorocarbon line because of the low stretch and I go with heavier line. In real muddy water I will even spool up with braid for the great feel and lack of stretch, but the water has to be extremely muddy for me to use a line I can see. The bass here in Georgia won’t feel the slight change in air temperature for several weeks after I do. But they definitely feel the shorter days. Less daylight is a signal to them to start feeding actively, especially on crawfish. Have a jig and pig ready to offer to them. This entry was posted in Bass Fishing, How To Fish on July 20, 2015 by ronniegarrison. What Fishing Gear Won ICast Awards This Year? Orange County Convention Center, Orlando, FL The world’s largest sportfishing trade show, the International Convention of Allied Sportfishing Trades, better known as ICAST, is being held July 14 – 17, at the Orange County Convention Center Orlando, Fla. Produced by the American Sportfishing Association (ASA), the industry’s trade association, ICAST – in its 58th year as the industry’s trade show – is the annual destination for the global recreational fishing industry. More than 12,000 representatives from the global sportfishing industry are in Orlando to see the latest innovations in tackle, gear, accessories and apparel. The single most important feature for ICAST exhibitors and attendees alike is the New Product Showcase. The New Product Showcase, sponsored by Fishing Tackle Retailer, embodies the sportfishing industry’s innovative and entrepreneurial spirit and rewards that ingenuity through the “Best of Show” new product awards competition. This year, 270 companies submitted 889 products in the New Product Showcase, all vying for the “Best of Show” award in 24 categories and for the overall ICAST 2015 “Best of Show” award. Making up a special section of ICAST’s half a million gross square feet show floor, the New Product Showcase provides special visibility for the industry’s latest innovations in gear, apparel and accessories. This year’s New Product Showcase winner’s also included first-time ICAST exhibitors Under Armour, Lifeshirt, RinseKit and YOLOtek. The ICAST 2015 “Best of Show” awards were presented on Wednesday, July 15, during the Chairman’s Industry Awards Reception, sponsored by Costa, at the Orange County Convention Center. Best of Show – Freshwater Rod – G. Loomis, Inc.
Best of Show – Saltwater Reel – Pure Fishing, Inc.
Best of Show – Fly Reel – Pure Fishing, Inc.
Best of Show – Tackle Management – Eposeidon Outdoor Adventures, Inc.
ICAST 2016 will be held at the Orange County Convention Center, Orlando, Fla., July 12 – 15, 2016. For complete ICAST information, visit ICASTfishing.org. This entry was posted in Fishing Tackle on July 19, 2015 by ronniegarrison.